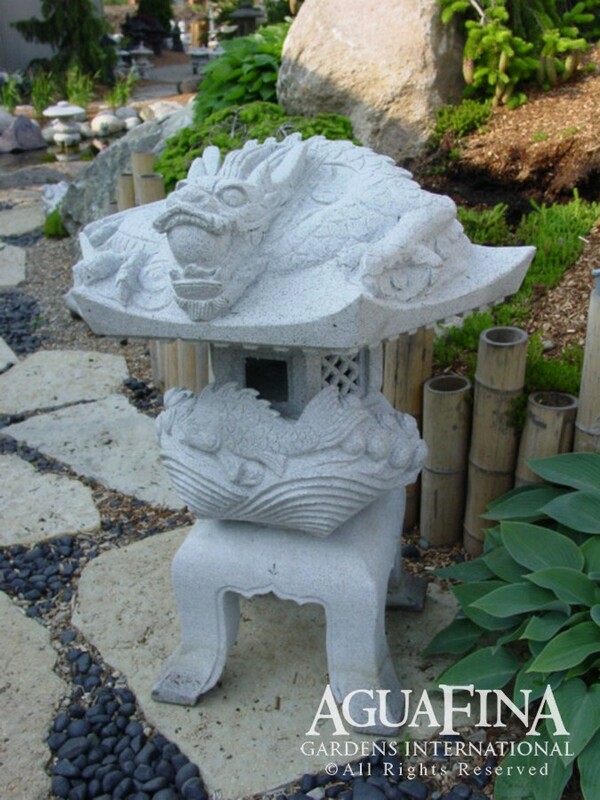 Hand carved by stone artisans who pass their craft from generation to generation, these traditional Japanese lanterns are a natural addition to a water garden. Available in two colors (Salt & Pepper and Green). Salt & Pepper pictured above.